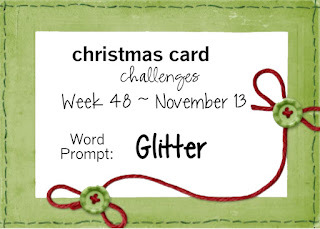 Good morning and welcome to Christmas Card Challenges #49! We have a color challenge for you this week and an inspiration photo pictured below. 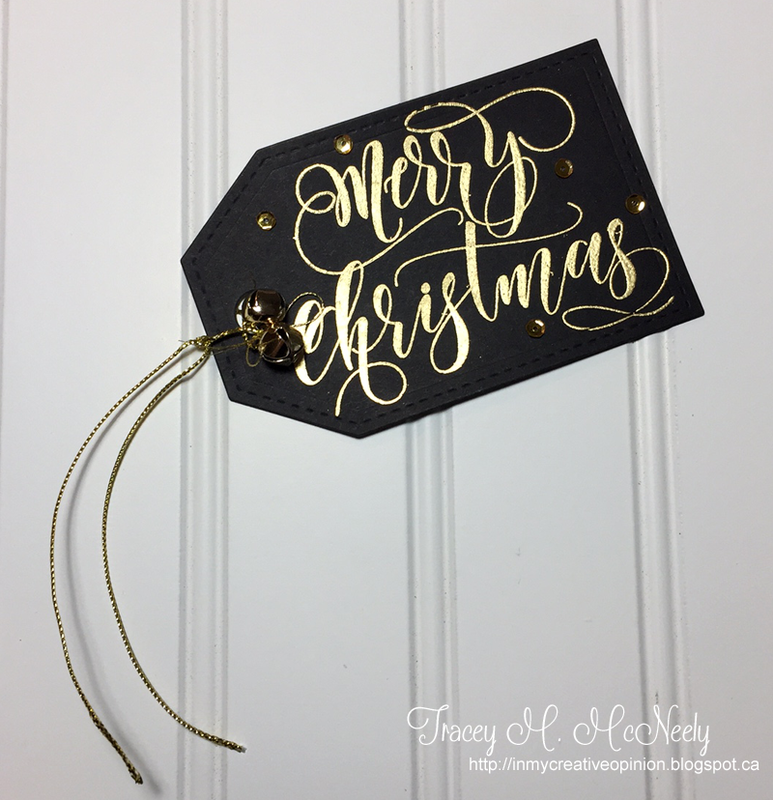 Here is my take featuring a randomly stamped image from Nordic Winter by Gina K. Designs that I heat embossed with gold embossing powder. Quick and easy and masculine. 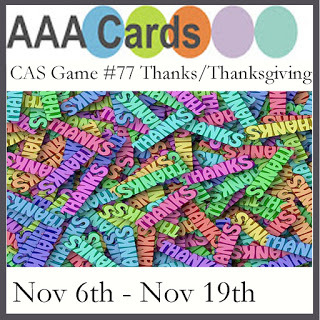 We would love to see your cards in our gallery. 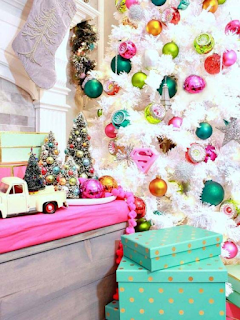 Stop by and play along and please visit the design teams blogs. We all love comments! 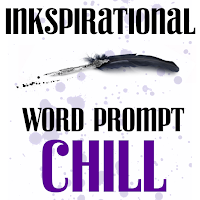 My card today features the mini Splits: Just a Note and a sentiment from Pumpkin Patch by PTI. I used one of the basic stitch line dies by MFT to the side of the top panel. Image was colored with Zig Real Brush Markers. 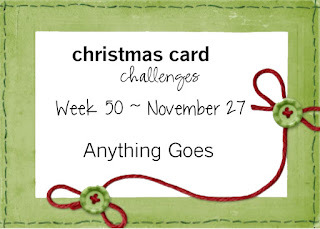 I'm playing along in this month's Create Along With Us Challenge hosted by PTI. This month I'm casing Heather. Here is her CAS card featuring the newly released mini Splits: Happy Birthday. This week at ATSM we have a photo to get your creative juices flowing. Here is what I came up with featuring images, a sentiment and patterned paper by GKD. My card today features images and coordinating dies from the Home for the Holidays Stamp TV Kit by Gina K. Designs. 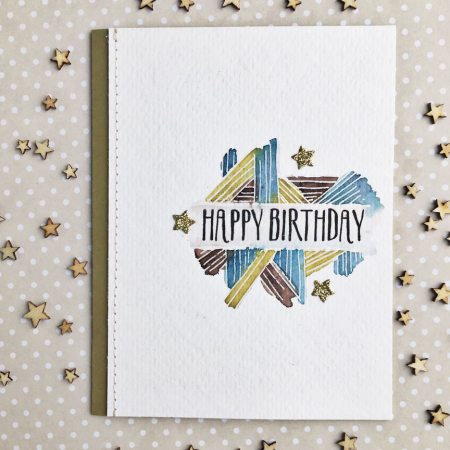 The background was created using Tim Holtz's layering flourish stencil and dye inks. I added silver glitter pen to the wings and Wink of Stella to the hat and star wand. Good morning and welcome to Challenge #48! My card today features images from Nordic Winter by GKD. I embossed with red glitter embossing powder. You can't really tell but believe me it's there. Now it's your turn. 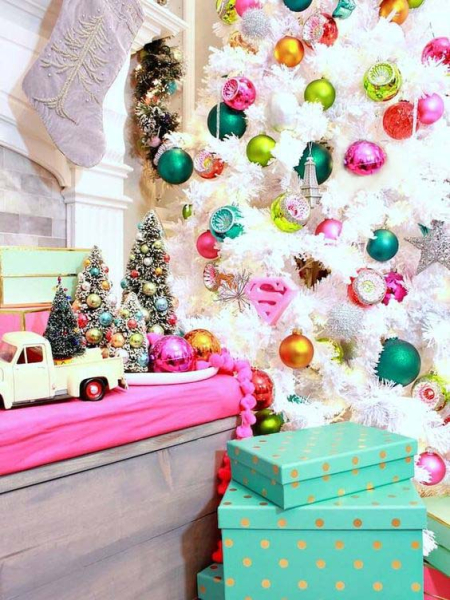 Show us your projects with or without glitter and see what the rest of the DT created! 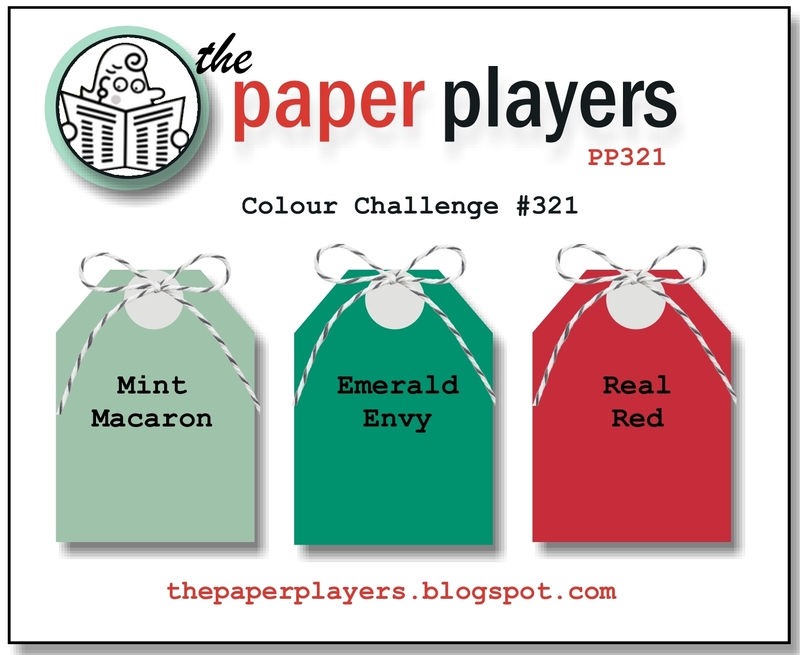 I'm participating in the current Papertrey MIM Challenge hosted by Laurie this week. She shares some tips for assembly line card making. 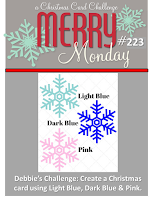 My cards today features the mini set Snowflake Sparkle and a sentiment from Take Three: Winter. Have a super Saturday all! 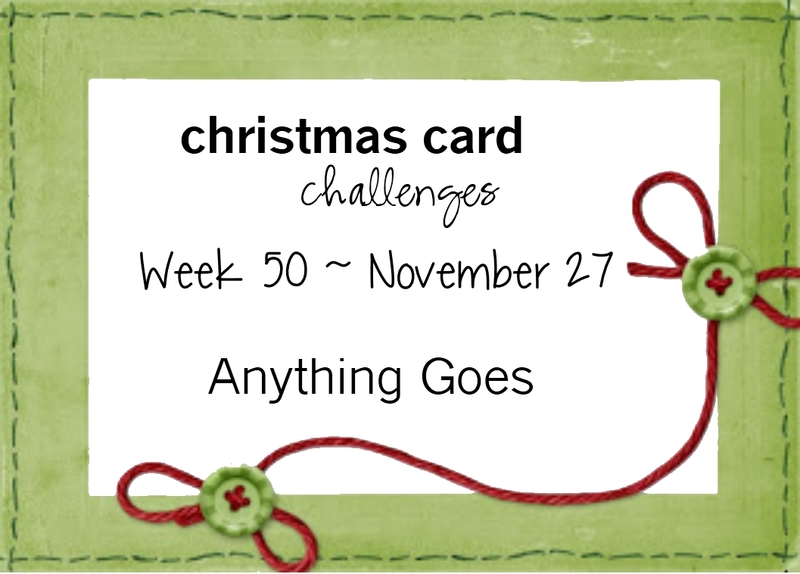 I have a second card to share with you all that was entered into the Holiday Cardmaking Challenge currently going on over at Hero Arts. 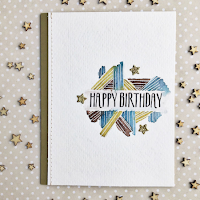 Again I have chosen to used the Cardinal Layering stamp set and coordinating dies. The top panel was embossed with the geometric embossing folder by We R Memory Keepers and several die cut snowflakes by Cas-ual Fridays were added to the background along with gold sequins. 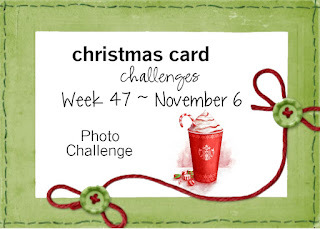 Here is this week's inspiration photo at Christmas Card Challenges. I don't own any fancy sets that feature beverages. 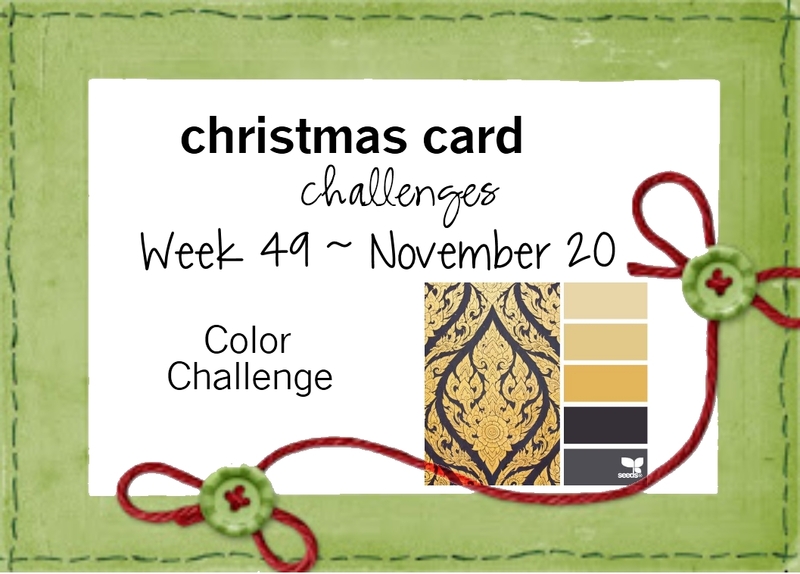 My card today is a quick and easy one that features a hot cup of cocoa/coffee from a mini set by Gina K. Designs called Coffee Therapy. I will have to purchase a set or two in the future to have on hand. I also added several premade snowflakes that were left over from a previous card I made last year. 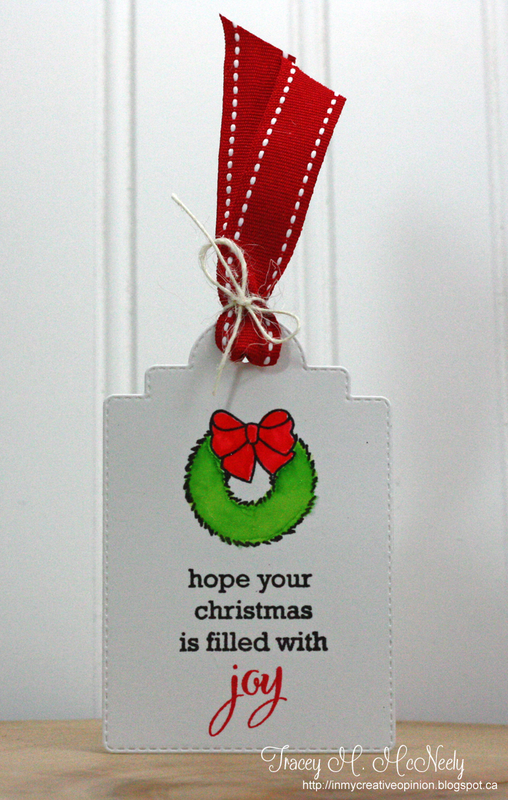 Here is my tag featuring a sentiment from Noel by GKD. 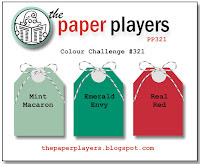 Here is my tag for day three inspired by Jennifer Jackson's tags pictured below. 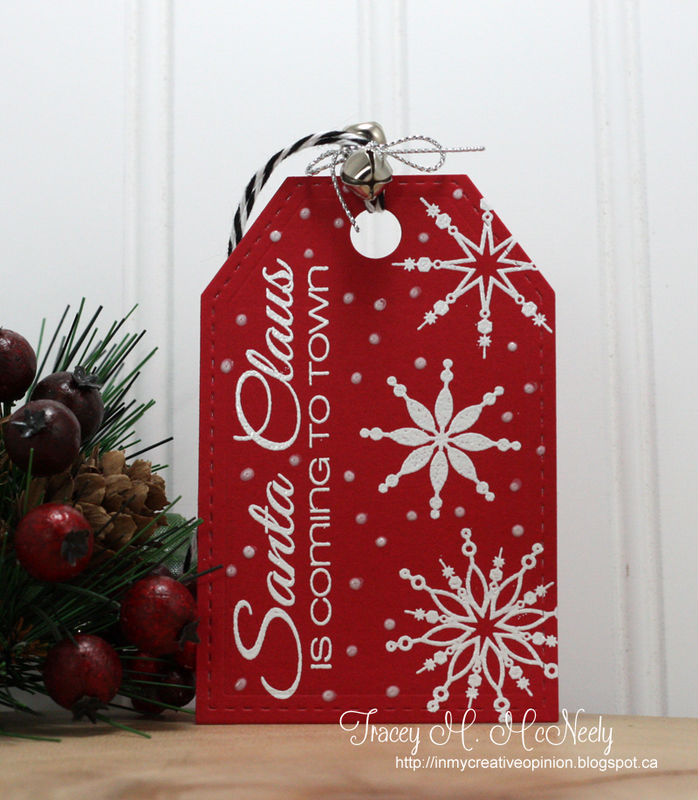 My tag features the tree image from Ian Moose and the word joy from Festive Foliage by GKD. 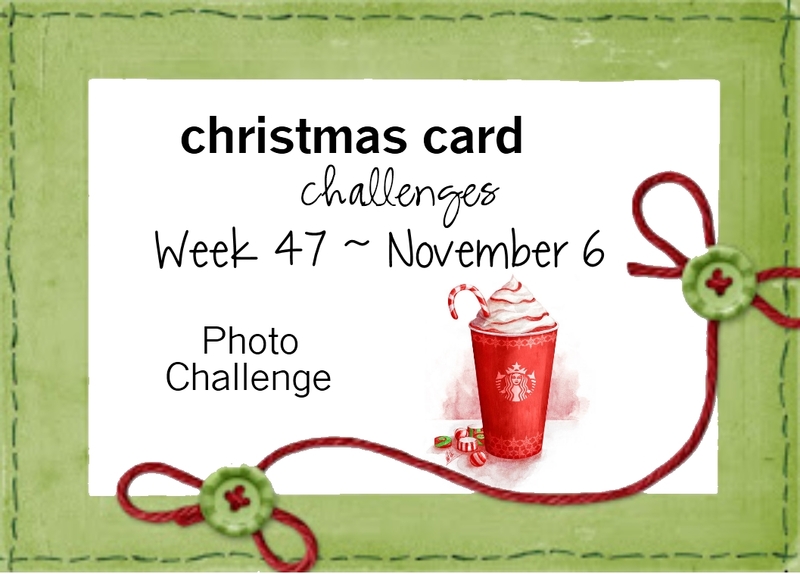 For this one I used an image and sentiment from Festive Foliage by GKD. Here is the first one I made featuring products by GKD. 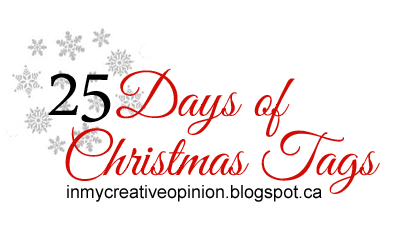 I was inspired by the snowflakes in Tracey's tag pictured below this post. Here is my take featuring Festive Foliage by Gina K. Designs. Illustrated beautifully by Claire Brennan. First, I sponged the background with dye inks. 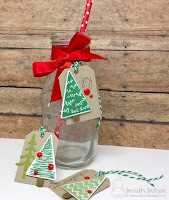 Next I stamped the pinecones with versa mark on white cardstock, heat embossed them with gold embossing powder and fussy cut them out. Lastly I adhered them to the areas where the pinecones were stamped on my panel. I did add several pinecones in areas that needed them. The sentiment was also heat embossed with gold. 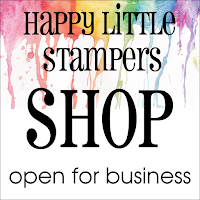 The stitched rectangle panel is a wafer die by Simon Says Stamps. Hello and welcome to a new challenge here at ATSM! 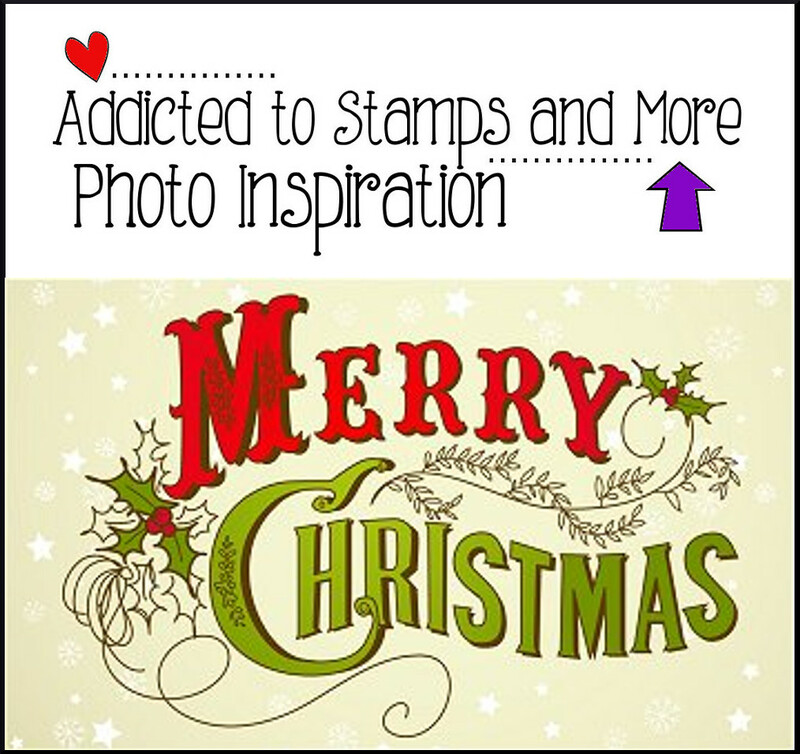 Here is my card featuring images and a sentiment from the newly released set Dashing by Gina K. Designs. I did some masking and sponging on this one. I also added snow to the pine trees with my white Signo gel pen. Hello! 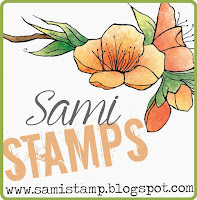 Sami Stamps provides a variety of high quality Digital Stamps in both JPEG and PNG formats. 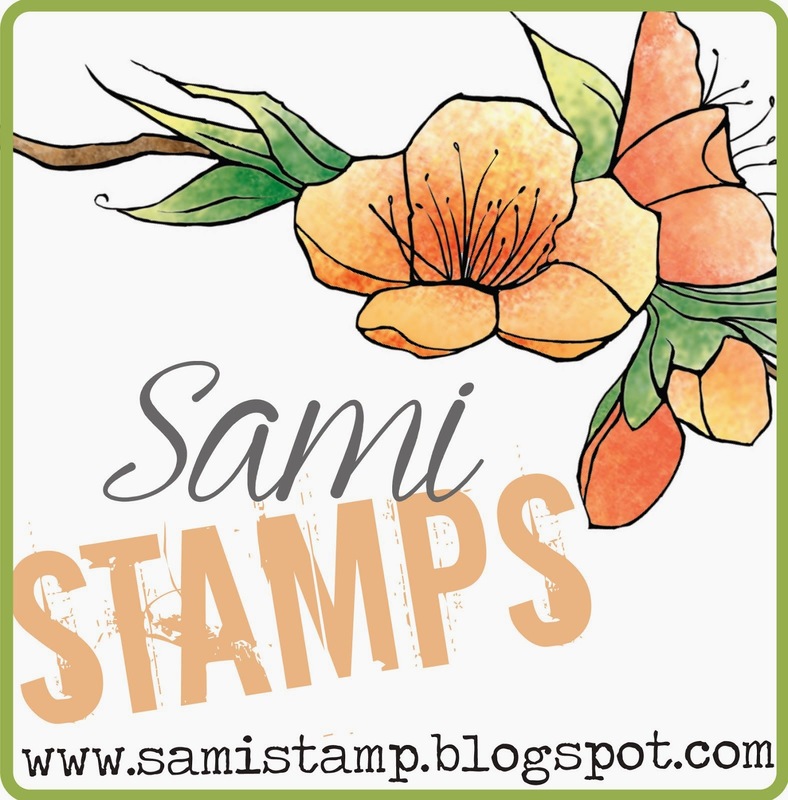 I hope you enjoy crafting with Sami Stamps images as much as I enjoy illustrating them!